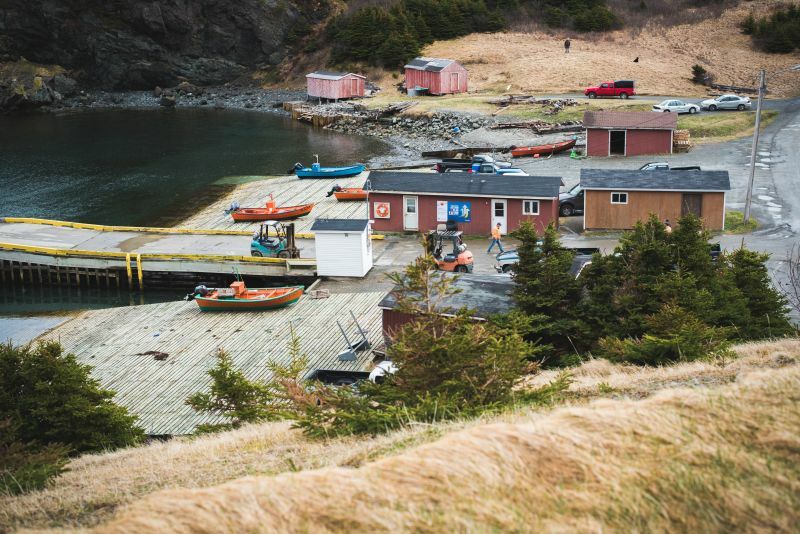 “I was born and raised in York Harbour,” said Gordon Wheeler, “Right across the road,” he added, pointing towards the window at Austin (Aus) Childs’ house where our interview took place. Gordon was born in 1960 to Chester and Stella Wheeler. His father was a fisherman and carpenter, and also fought in the Korean War. His mother was the first postmistress in York Harbour, “she worked at that for a number of years. Then she worked for awhile in the fish plant,” Gordon said. “It was great growing up here, in this area,” he remembered and described how his family was close to the Kendells, who owned the adjacent land. “There was a lot of us so we could play tiddly, baseball, cowboys and indians an awful lot, never forget that one… Jumping ice pans, jumping trees…We broke all the tops off all the trees between here and the bay,” Gordon laughed. “And you had chores to do… Planting vegetables in the springtime, weeding, carrying water, getting firewood…” added Lew Kendell who grew up with Gordon. “It was all work, but it was fun work ‘cause it was a group thing, a family thing- or families I should say because everyone helped one another,” Gordon remembered. 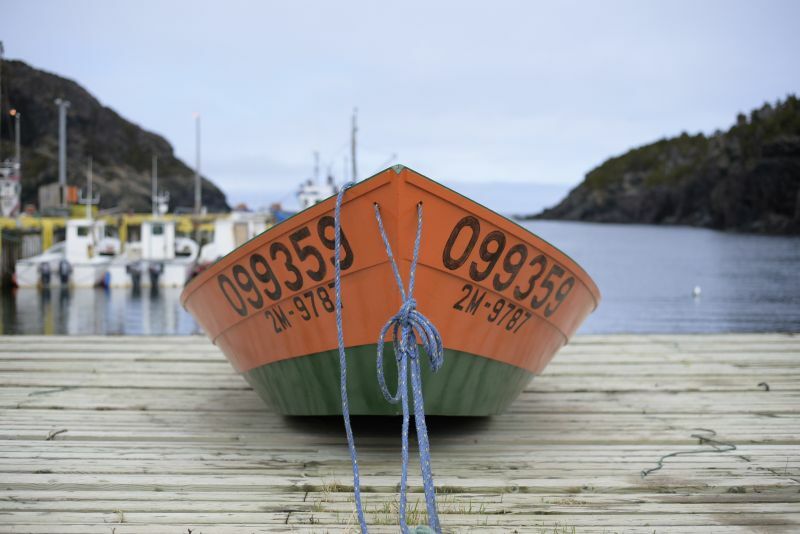 Gordon’s father, like many fishermen, built boats and Gordon learned from watching and helping him. 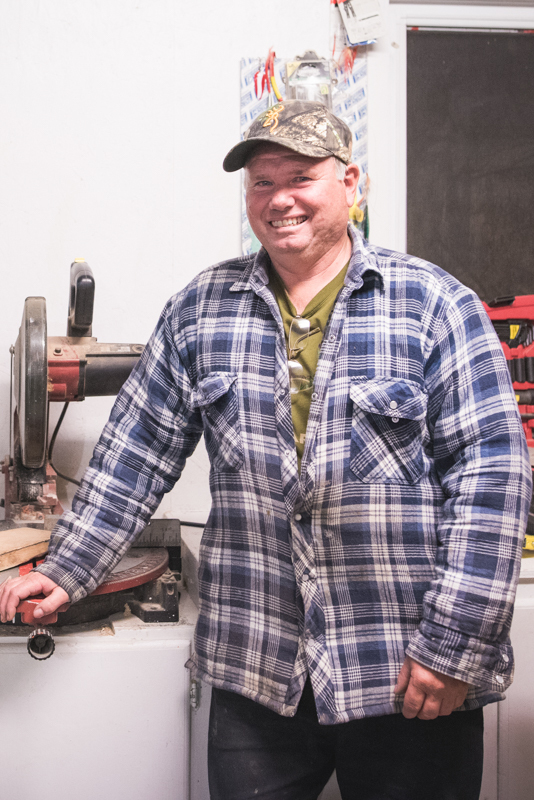 He built his first boat in the early 1970s, when he was a teenager, “we built her down in dad’s woodshed,” he remembered. Gordon continued to build dories with Aus Childs, “Aus had a little shed here, and we used to build them in that. And it was only 16″ x 22″, something like that? by the time you got your boat built that’s all the room you had,” he remembered. Gordon started fishing at the age of fifteen and continues to use his dory to fish for lobster, alongside Aus. “We haul up on the Wild Shore, so dories are the best.” Unlike keeled boats, the flat bottom dories are designed to be beached in the sandy coves found on the west coast. In addition to lobster, they’ve also fish crab and other groundfish. “I got forty years gone now,” Gordon said about fishing.